Everyone's favorite ~ lavender. The trio of roses embedded in the heart is a new one for me. 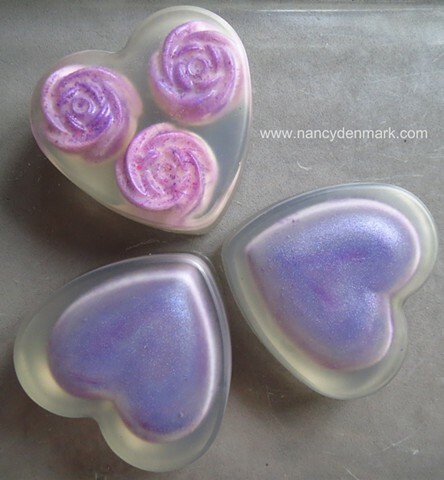 These have lavender scented, goat's milk embeds surrounded by a Lavender/Black Amber scent in the transparent soap. Heart with rose trio is $4.50. other 2 hearts sold @ $4 each.